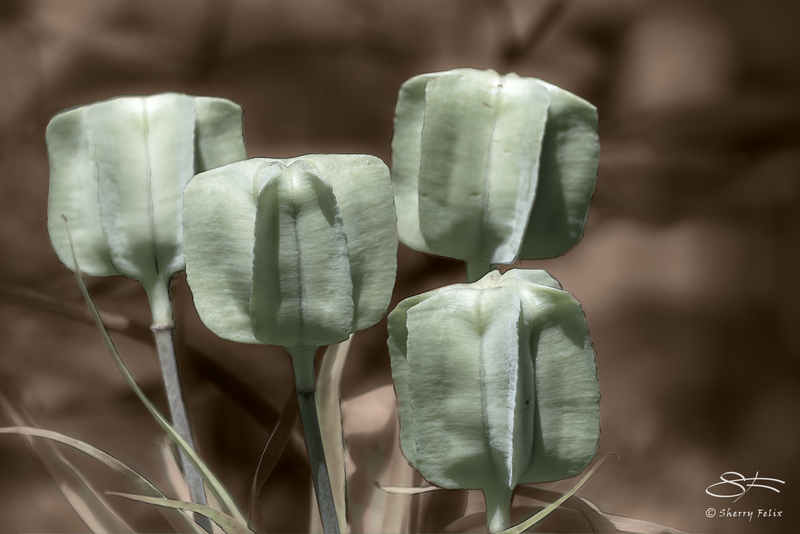 A little outlining and a switch to a sepia toned black and white background brings puts the focus on these seed pods. I love their architectural design. Created in Photoshop. NIKON D600, f-stop 8, exposure time 1/1000 sec., ISO·280, exposure bias -0.7 step, focal length 400mm, and max aperture 5. This picture almost look three dimensional. It is a little stark, but that is nature. I like the colors but the image seems rather stiff and static to me. What a treat it was to scroll through your more recent photographic artwork! I love viewing your photographic interpretation of the world around us. And . . . what wonderful, candid shots of birds doing what birds to. Wonderful, imaginative work!